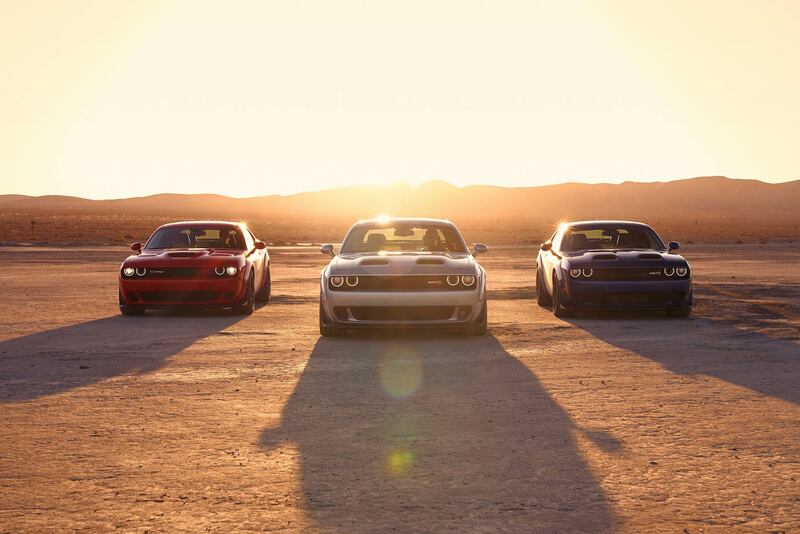 Things are far from perfect in America, but at least they’re still churning out muscle cars with ridiculous horsepower. Before we begin, it might be worth pointing out that since introduction in 2008, the LC platform Challenger has been built at Chrysler’s Brampton Assembly plant in Ontario. That’s Ontario, Canada. So a certain US President might want to remember that going to war with Canada could mean losing maple syrup AND access to badass muscle cars. However, we digress. 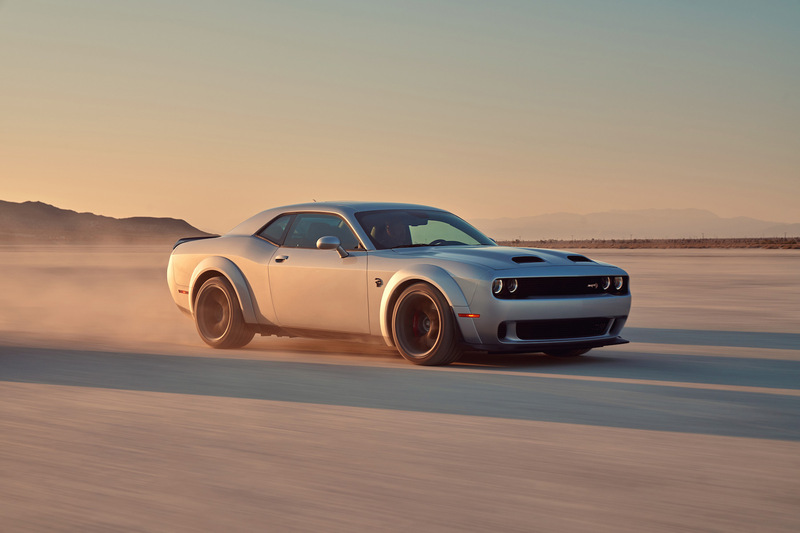 Despite having begun production almost a year before Barack Obama became President, Dodge is still persevering with the third-generation Challenger. A decade of tweaking and tuning has, undoubtedly, made it better. We’re already sold heavily on the SRT Hellcat and Demon, and for the 2019 model year the SRT Challenger combines the best of both with a new version. The name keeps getting longer, and the power output keeps rising. Yes, the Redeye takes the engine from the limited production SRT Demon, and places it in a regular production Hellcat. That means 797hp and 707lb-ft of torque for the rear wheels from the 6.2-litre V8, all sent through an eight-speed automatic gearbox. All the upgrades from the Demon are present, including the huge 2.7-litre supercharger, and the special ‘SRT Power Chiller’ which uses the air conditioning system to keep the ‘charger cool. A new, sinister-looking, dual snorkel bonnet is also designed to reduce air intake temperatures. What does this mean for performance? Try 0-60mph in 3.4 seconds, and a top speed of 203mph. That’s quick – properly quick. Clearly not as fast as the SRT Demon, but the Hellcat Redeye should be marginally more suited to everyday usage. 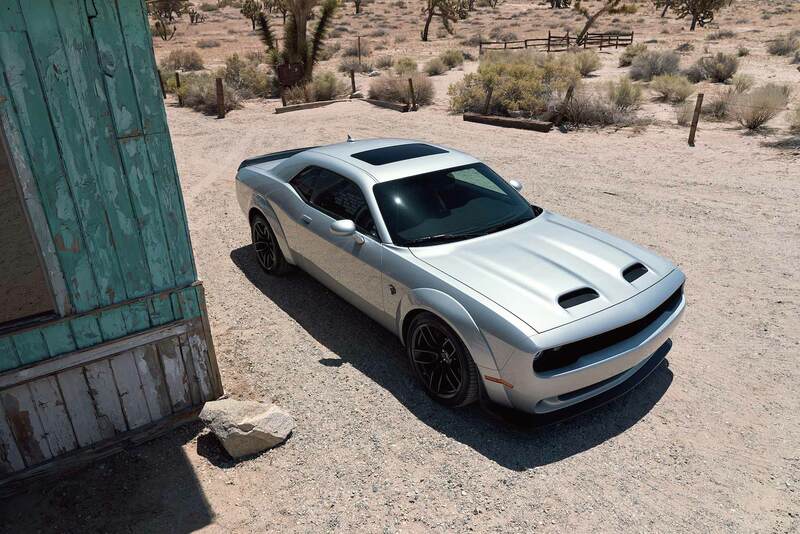 As for the 2018 model year, a ‘Widebody’ edition of both the Redeye and regular Hellcat (which now has 717hp) is available. Naturally we’d opt for it, as the stretched wheel arches look incredibly cool. 20-inch alloy wheels are standard, with Widebody cars getting huge 11-inch wide ones at the rear. Three-stage Bilstein adaptive suspension, Brembo brakes, Demon-derived ‘Launch Assist’, and even a Line Lock are all standard. The latter clamping the front brakes, but leaving the rear axle free to spin up clouds of pleasing tyre smoke. Opting for the Redeye also means a number of special interior tweaks, too. Most important is a 220mph speedometer, Hellcat Redeye logos on the multimedia display, and a unique instrument panel surround. Prices are yet to be announced, but from experience expect Dodge to announce them in about a week’s time. Until then, just enjoy this video. Next Post BTCC 2018 | What happened last time out at Croft?